Why is it Called Yahoo!? Fun fact: Yang and Filo added the exclamation point to the end of Yahoo! because “Yahoo” was already trademarked by a company that produced BBQ sauce. The site was never intended to include searchable pages; it was more of a directory that included some of their favorite websites from across the web. Their name wasn’t exactly short (36 characters). They needed something catchy–something people would remember. In March 1994, they changed their name to Yahoo! and registered the domain on January 18, 1995. The company is currently CEO’d by Marissa Mayer, a former Googler. Why is Yahoo called Yahoo? Shortly after Marissa Mayer started saving Yahoo’s sinking ship, she implemented a strict “No Work From Home Policy.” She received a great deal of criticism, but she needed to take drastic measures to see results. Yahoo! acquired microblogging and social media platform, Tumblr for 1.1B on May 17th, 2013. Yahoo has been on an acquisition spree, already acquiring eight companies this year. Can you tell I am a fan of the progress, policies and strategy? More recently, Yahoo! kicked off a 30 Days of Change campaign, where Yahoo! displays a different logo on their homepage each day for 30 days. According to Kathy Savitt, Chief Marketing Officer (CMO), “We wanted to preserve the character that is unique to Yahoo! — fun, vibrant, and welcoming — so we’ll be keeping the color purple, our iconic exclamation point and of course the famous yodel. 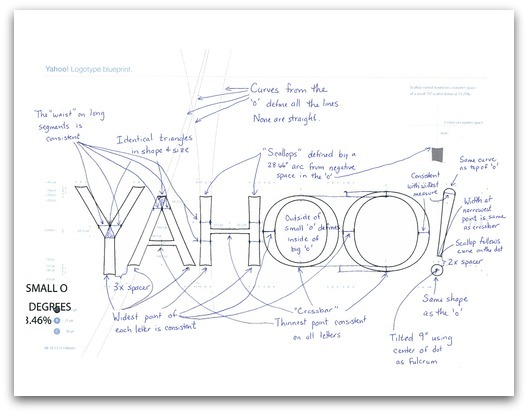 After all, some things never go out of style.” Yahoo actually crowdsourced the new design of the logo, but ended up choosing the version that was created in house. Even if they were never planning on choosing a design created by an outsider, it sure received a lot of attention. See More: All logos from the “30 Days of Change” campaign.